As long as job hunters have tried to stand out (and feel they need new tricks to do so), there’s been the question of color for a resume. Way back in the Stone Age when I was a candidate, the big no-no was colored paper. Now, it seems that the concept of color ON a resume is still catching on. My Careerealism post on resume trends brought this to light very quickly. While I mentioned several up-and-coming techniques that have helped my resume clients immensely, one hot button seemed to be color. Is your field reasonably cutting-edge (say, technology)? Do you want to spark interest and intrigue among employers? Are you open to open to trying new things? 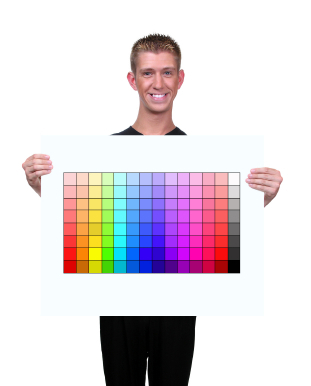 If you’ve answered yes to any of these, then resume color might be a great advantage for you. However, if your idea of novelty is using borders for the first time, then it might be best to hold off on color and rely on shades of gray to spice up your resume. 1) Resume color must fit the industry. Blue is a nice touch for technical fields (see this Senior Software Engineer resume example), while a deep, regal red can be effective in financial industries (as shown in this sample IT Auditor resume). You can take a look at these samples in PDF here as well. 2) Resume color should be used to strategically set off specific facts of your career. If you want a particular piece of information to stand out, color works VERY well. 3) Resume color should reflect your personality. If you aren’t comfortable with an edgy, look-at-me tone to your resume, you should back off on color or just use it in one place. However, if you really thrive on attention and want employers to get with the program and hire you, then consider ways to incorporate it without going overboard. You can read more about my perspective on resume color trends at Examiner.com, or look at Donna Sweiden’s post on resume trends. Hooray! I have been selectively and conservatively using color in resumes for the past four years. I find if applied properly, it lends the resume that slight edge that may prove to be the difference in capturing the attention of the reader. As you stated so eloquently, it should be subtle, appropriate and used sparingly. I couldn’t agree more, Laura. My experience is that employers LOVE something a little off the beaten path. Of course, if the job seeker is dealing with a Applicant Tracking System, she will want to use formats appropriate to the non-human. But, if a candidate is networking, and actual people are looking at the resume, standing out from the crowd can be a very good thing. They are marketing documents, after all! I often use color on my client’s resumes and have received nothing but positive feedback from recruiters and employers alike. The last thing that hiring managers want to see is just another resume that looks exactly like the hundreds of others on their desk. Adding just a hint of color may be enough to make a difference as to whether the resume is read or not.